Angie Oriana Jenkins began her journey as a belly dancer while living on the west coast of Canada where she lived for about 15 years. 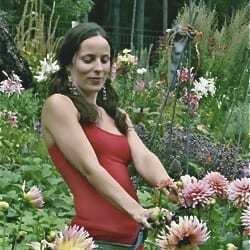 She studied with various teachers and was part of a belly dance troupe on Salt Spring Island. Originally from New Brunswick, Angie heeded the call to come back home, returning to the east coast and making her home in Wolfville in 2009. She has created “Sister Lotus” as a business that could incorporate all her passions…belly dancing, herbal medicine & sensual body care products. This belly dancing herbalist has found many eager students and appreciative audiences so she keeps herself busy teaching and performing belly dance as well as juggling the other parts of her business. 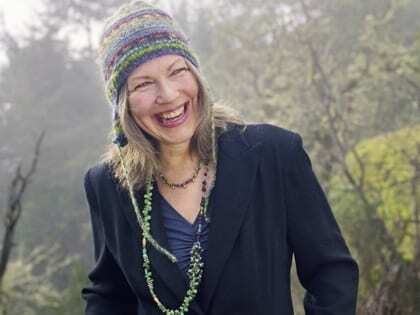 You can find her at the Wolfville Farmers’ Market, selling her luscious products or doing herbal consultations when she is not on stage or teaching. This ‘homegrown’ talent is sure to get your feet tapping and dancing if there’s room. 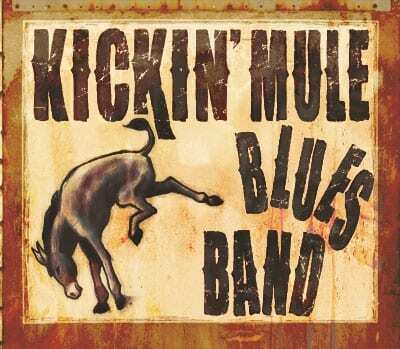 From Annapolis Valley, Nova Scotia, the Kickin’ Mule Blues Band recreates authentic blues tracks from both Chicago and West Coast Jump Blues Sound; sounds that were once popularized by artists like Hollywood Fats, William Clarke, amongst others. Guitar, bass, harmonica, drums, and vocals help this band really perfect the essence of the blues. 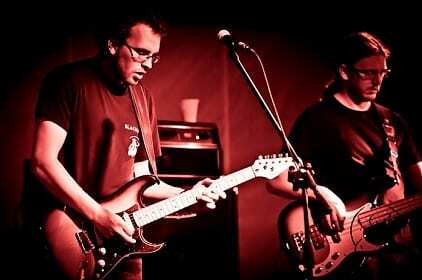 The band is comprised of Brian Chipman, Mark Bezanson, Darrin Beaton, Jason Burns, and Richard “Rico” Berthiaume. Meaghan is a rising star from Hunter River, PEI. This 22 year old has already released two albums, with the most recent one, “Chasin’ Lonely Again,” picking up the 2011 ECMA Country Album of the Year award. 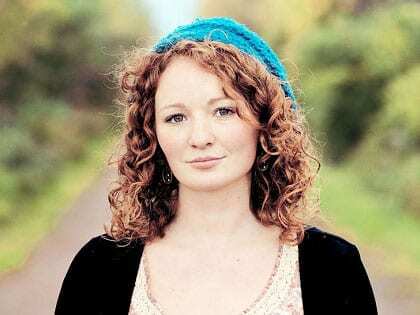 Her first album, “Changing Things” picked up four Music PEI awards, and received a couple of ECMA nominations in 2009. During each of the past four years, she has showcased at the ECMA’s. In 2009, she was part of the nationally televised Canada Games Opening Ceremonies, and then, the following February, 2010, she performed no less than 47 times in 15 days, in the Atlantic Canada House, during the Olympic Games. Last summer, when Will and Kate toured PEI, she took part in a royal performance. Meaghan has spent time in Nashville showcasing, co-writing and networking and her plans for this coming year include a return to Nashville, as well as touring and live performances. 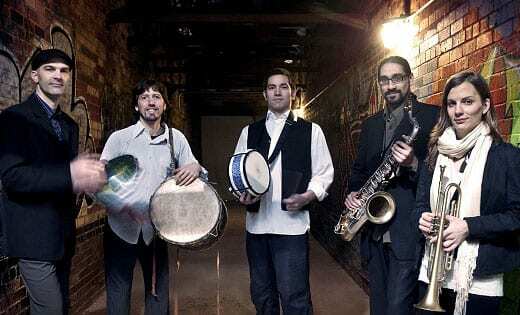 Energized by drums and jazz horns, and a variety of instruments from around the globe, DRUMHAND draws musical inspiration from the circuitous rhythms of hot climates and the melodic spirit of New Orleans Second Line parades. Innovative arrangements and vibrant stage presence make their unique show appealing to audiences of all ages…eclectic & accessible. Originally founded in 2008, DRUMHAND presently consists of five members. After their debut album, Moving Still (2010), which includes non-lyric vocal work, it was clear that they all love to sing and they continue to explore in the realm of voice as well. During the past year, they have been touring extensively in Eastern Canada, been part of numerous festivals, and are ready to release their second album, The Traveling Scheme. James Hill has earned a reputation as one of the world’s foremost players of the often-underestimated ukulele. This young British Columbian virtuoso has the amazing ability of bringing very different musical worlds together, even combining influences of hip-hop into heavily percussive and beat-driven ukulele “sound sculptures”. 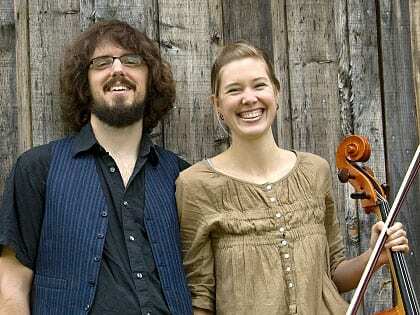 In collaboration with cellist Anne Davison, on their 2009 album, True Love Don’t Weep, James’ skills as a vocalist and songwriter started to emerge more and it won a Canadian Folk Music Award, so an impressive step forward. Now, a quantum leap…his most recent album, Man With a Love Song (2011) takes Hill’s talents to a whole new level. This seasoned performer, barely into his 30’s, brings a powerful new voice to the songwriting world. His eloquent poetic lyrics are honest and vulnerable and definitely have something to say. Anne Davison will join James Hill once again on stage bringing an exciting and vibrant show to Wolfville. Festival goers love the enormous, whimsical puppets that make an appearance at the Fresh Beats Rhythm Parade and various events during the Festival weekend. Monika Wildemann, Artistic Director of Wee Giant Theatre, specializes in puppets that energize spaces and creative activities for youth, Wildemann creates puppets, props and costumes (all made from recycled materials) to help people celebrate living in peace and harmony. 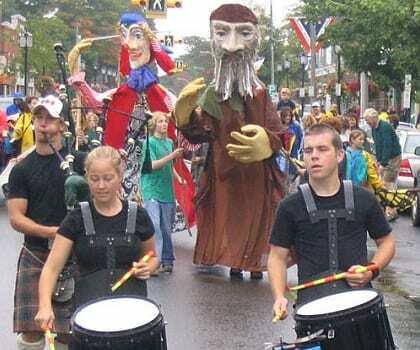 Join the fun as the Wee Giants make their majestic way through Wolfville’s downtown core in a colourful, musical, magical procession. The first thing you notice about the Hupman Brothers is how much they love what they’re doing. There’s no question that these Nova Scotian brothers, Ryan and Scott Hupman, have a passion for music. Their superb musicianship, as well as their energy and enthusiasm, shines through during their live shows. Their original music, although steeped in the Blues, does not strictly adhere to the standard Blues formula. Their songs and arrangements are fresh, with a hint of the swing/ragtime Blues guitar style commonly found in the 30s and 40s, woven in with their own contemporary sensibilities. In four years, they’ve released four albums, been nominated for multiple awards, and won the 2010 ECMA for Best Blues Album for their 2009 “Countin’ Quarters” album. Two songs from their 2010 album, Loveseat Volume 1, were semifinalists in the 2010 International Songwriting Competition. During their live concerts, Ryan and Scott are joined by band mates Caleb Miles on guitar, Bob Federer on keyboard, Mike Carroll on drums, and Ian Sherwood and Ariana Nasr on saxophones. “If ever someone was deserving of the nickname, ‘Crazy Legs’, it just might be Gordie MacKeeman”. 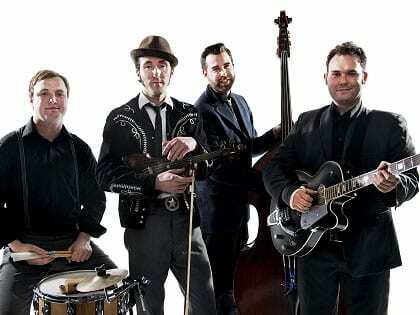 Hailing from Prince Edward Island, Gordie MacKeeman and his Rhythm Boys are a high-energy, old-time roots band that will be sure to get your toes tapping. 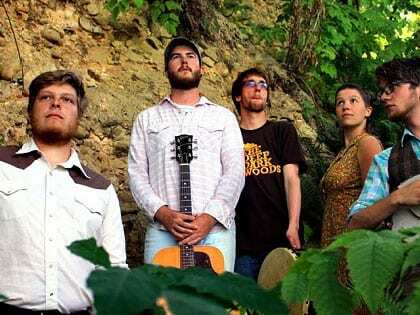 Tom Power, host of Deep Roots on CBC, called this band his “Best Discovered Band” at the 2012 East Coast Music Awards. Soon after forming and releasing their self-titled debut CD, the band received two Music PEI awards in 2011 for Roots/Traditional Group of the Year and Instrumental Recording of the Year. They were also nominated for Roots/Traditional Group Recording at the 2011 ECMA’s, and were voted the 2011 Music PEI Showcase Artist of the Year. With a balanced mixture of dance style music, bluegrass vocals, and a lively multi-instrumental music backdrop, this four-piece group is not one to be missed. Originally from Victoria, British Columbia, Fish & Bird started as an acoustic duo in 2006, comprised of Taylor Ashton and Adam Iredale-Gray. Their interpretation of ‘folk’ took them to original songs in odd time signatures and traditional murder ballads with rock beats. On their second album, Left Brain Blues in 2009, friends were enlisted to help fill out the sound on the record and at live shows and some have since become permanent members of the band. Today, Fish & Bird is a five-piece indie-folk powerhouse group that is always looking to go above and beyond the expectations of the genre. Their latest album, Every Whisper is a Shout Across the Void (2011), features some of their strongest material yet and redefines the Fish & Bird experience yet again. In 2011, they travelled to Memphis, TN, to perform an official showcase at the International Folk Alliance conference, they performed to a sold-out crowd at CBC that was aired on radio and television nationwide, they toured extensively throughout Canada and picked up a Western Canadian Music Award nomination. This band is quickly gaining well deserved recognition by critics and fans. Mae Moore is no stranger to accolades for her work as a solo artist. She was a major label success story, scoring nine top-forty hits, two Juno nominations and two SOCAN Awards for commercial radio airplay. As an indie artist, she has most recently garnered two Canadian Folk Music Award nominations for Solo Artist of the Year and English Songwriter of the Year. Mae’s renowned sound, a mature and sophisticated mixture of pop, folk and jazz music, come together on her new album, Folklore, a collection of songs inspired by her experiences living in different parts of the country. This most recent album was released alongside a companion book featuring 30 of Mae’s acclaimed landscape paintings.